Beijing has urged Tokyo not to lighten responsibility for its World War II aggression. “If the statement is deliberately made vague, or if it lightens responsibility, it will once again rip open the wounds of China and the other victims, and rub salt in them,” said Cheng Yonghua, Chinese envoy to Japan on Thursday. China-Japan ties are at an all-time low owing to what China and South Korea say is Japan’s lack of remorse for its war-time atrocities. Cheng told reporters in Tokyo that China is eager to see a planned statement by Japanese Premier Shinzo Abe marking the 70th anniversary of the war’s end. The Japanese Premier has said he wants to make new, forward-looking remarks in his own words, raising concerns he wants to dilute past apologies. Abe has, up until now, declined to acknowledge specific wartime atrocities that have been highlighted by human rights groups, such as the case of so-called “comfort women”. The euphemism refers to as many as 20,000 Asian women, many from China and the Korean peninsula, who were forced into prostitution at Japanese military brothels. China has repeatedly implored Japanese leaders to more forcefully apologize for the injustices suffered by comfort women. Abe’s reluctance to do so has prompted Chinese President Xi Jinping and South Korean President Park Geun Hye to refuse individual meetings with Abe. 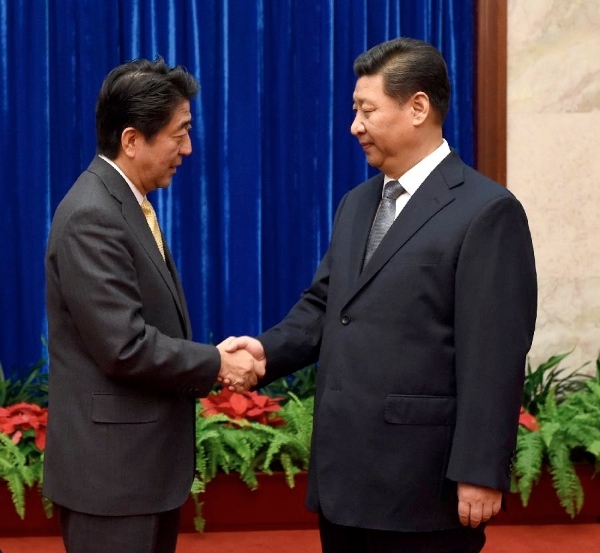 China has earlier urged Japan to “make a clean break with militarism” and build trust with its neighbours after Abe last year honoured more than 1,000 convicted war criminals as “martyrs” who laid the foundations for modern Japan. China and Russia are also preparing for the upcoming visit of Russian President Vladimir Putin to China to commemorate the 70th anniversary of the end of World War II, or what is known as the victory of China’ s War of Resistance against Japanese Aggression and the World Anti- Fascist War. Chinese President Xi Jinping and his BRICS counterparts from India and South Africa, Pranab Mukherjee and Jacob Zuma earlier in May attended a grand military parade held in Moscow to mark the 70th anniversary of Russian victory in World War II. The Ufa declaration of the 7th BRICS Summit earlier this month also makes references to the 70th anniversary of the defeat of Nazi Germany, “fascism” & “militarism” during World War II and denounces attempts to rewrite history but stops short of mentioning Japan. “We express our commitment to resolutely reject the continued attempts to misrepresent the results of World War II. While remembering the scourge of war, we highlight that it is our common duty to build a future of peace and development,” said the joint BRICS communiqué.